The Revolution Kickstarter campaign concluded in the waning days of August in 2015. At its close, it had been fully funded and met its first "Stretch Goal". It led to a re-enervation of the SK Fandom and hopes that a show cut down early would see another rise. Over 2,000 individuals donated their money and their hopes into making this come to pass. Since then, 3 years have gone by. Original show artwork was mailed out, metal trophy coins were distributed, and the show's creators, the Tremblays, made the convention circuits and had themselves or their show staff participate in interviews. Plenty has been said about the original show; new details of episodes that never saw the light of day have been put out for inspection, there have been episode reviews and podcasts, and discussions of the 'what-ifs' that never occurred. On the subject of SK Revolution, however, very little has been shared, which has been disconcerting to say the least. The Tremblays and their associates have been keeping everything very close to the vest in regards to the show, something that can not only frustrate the fanbase (And more importantly, their financial backers), but further diminishes the value and trustworthiness of Kickstarter campaigns in general. It could be argued that Kickstarter has become a joke already only a few years after the website's inception; Once you have a Dorkly Video https://www.youtube.com/watch?v=mJQC0va2LX8 making fun of something, that's pretty much game over. Aside from infrequent and agonizingly vague Kickstarter updates (At the current rate of one update every 4 to 6 months), we have heard nothing about the direction of this project, its eventual fabrication, or details more tangible than random names. In their appearances, the show creators and writers hem, haw, and say very little of any significance. The claim, naturally, is that the show is 'in discussion' with various studios, media conglomerates, and the like, and to be sure, Hollywood is a kludge run by boardrooms more concerned with the bottom line than creative vision, in a mockery of what it once was. With nothing but time on our hands and the mill grinder of the fandom having eked out everything of value to be gained from the original show and the more recently published details, we have entered a dormant phase. Activity and interest has slowed, and for something as niche as SWAT Kats is, that's a major problem of the creator's own making. My concern is that after being taken for a ride for three years with nothing to show for the $141,000 raised, it will destroy all the work that the fandom put into keeping the faith alive. I don't consider myself a 'cynic', and there's too much dreamer left in me to accept the label of a 'realist' either. I am, however, enough of a student of history to pay attention to the patterns of events and put forth logical predictions. Especially when it comes to Kickstarter campaigns, high ambitions, and crushed dreams. I've seen this happen before, after all. To review; Kickstarter is a website where instead of looking for investors through the 'usual' means, creators are funded directly through "Micro-investors", individuals who shoulder a small percentage of the overall cost with pledge amounts ranging from $5 to amounts easily in the thousands. The creator of a product puts forth an explanation of what they are wanting to make, what good will be derived from it, and how much money they need to make it happen. This can range from physical products like phone stands and board games to digital content such as films, cartoons, and video games. A Kickstarter project does not happen unless it is fully funded; from this, the website takes its own processing fees, taxes are paid, and what is left over after the fact is delivered to the project creators so they can actually make the thing they're being paid to make. Since its launch in 2009, Kickstarter has managed over $1.9 BILLION from over 9.4 million "Backers" from their headquarters in New York. https://en.wikipedia.org/wiki/Kickstarter#History The success stories of Kickstarter have also come with more than their fair share of disappointments and controversies, none so infamous within the sphere of mass media than that of Mighty Number 9 https://www.kickstarter.com/projects/mi ... ighty%20no. After a whirlwind funding campaign, Comcept and Keiji Inafune raised over $3.5 Million from over 67,200 backers to make a spiritual successor to Mega Man. (Disclaimer: I myself was one of these backers, and contributed over $200 to making that dream reality.) After clearing all of their initial stretch goals, Comcept was so desperate to keep the money flowing in that they developed additional funding goals; A co-op game mode. Support for MN9 on not only PC, but the 360, PS4, WiiU, 3DS, Mac OS, Linux, and PS Vita. For those who really chunked in the cash, they would receive loads of swag; T-Shirts, pins, USB flash drives shaped to look like NES and Famicom carts, old-style NES/Famicom boxes and instruction manuals, an artbook, a "Making of" video. The list went on. Some were concerned early on that it all seemed like too much, and that Comcept was biting off more than it could chew. The bulk of the backers dismissed these concerns, claiming that they were the products of those who thought too cautiously, and in a prelude of coming events, accused them of 'wanting the game to fail.' Thus, these concerns were ignored. They should not have been. After a year of relative quiet, there were whispers of things that weren't quite right. There was trouble with Comcept's social media manager and accusations of nepotism (She was the wife of a Comcept employee), the artstyle of the game changed from early mockups, and not everyone who participated in their 'community voting' to determine outfits of particular characters took the majority winners with grace. All of that paled with what happened a year later in 2015; When Comcept announced that, while they were in the midst of development for their first wildly successful Kickstarter campaign, they were launching not just one, but TWO additional Kickstarter campaigns for a spiritual successor to Mega Man Legends also. One was a Video Game https://www.kickstarter.com/projects/mi ... =red%20ash and the other was a cartoon show. https://www.kickstarter.com/projects/mi ... =red%20ash. As you can imagine, the backers of Mighty Number 9 were not in the least bit pleased with this development, as they felt (Very rightly) that before taking on any additional projects, the developers should first see to finishing up the one video game their company had launched into the public eye with. The Red Ash video game project failed. The cartoon passed...although, nothing ever came of it after the fact. The hole of Comcept's mismanagement was dug even further when the announcement came that they were planning on making a MN9 movie...and again, people pointed out that Comcept had a responsibility to finish one thing before starting another. Comcept's 2 year Timeline to release was delayed into 2016, with Inafune himself publicly stating that they had "No excuse" for it. A trailer released in May of 2016 was critically panned, as it made fun of the very consumers that the game was targeted at. It was not until the end of summer in 2016 that the game was finally released, and the final product was sorely lacking in polish, finesse, and even the tightness of controls that backers (And Mega Man fans, the target audience) had come to expect. After the release, Comcept's Ben Judd infamously uttered the phrase, "It's better than nothing." The final nail in the coffin would come in the winter of 2016/2017, when Fangamer, who was charged with delivering the swag to all of MN9's backers, would be unable to deliver all of its products due to Comcept losing track of some of their backer's contact information, and that for those who did receive the products, there were errors in production which ruined it (Instruction booklets that were too large to fit in the fake game boxes). Mighty Number 9, over the course of 3 years, became a cautionary tale for Kickstarter campaigns and overly ambitious content creators. 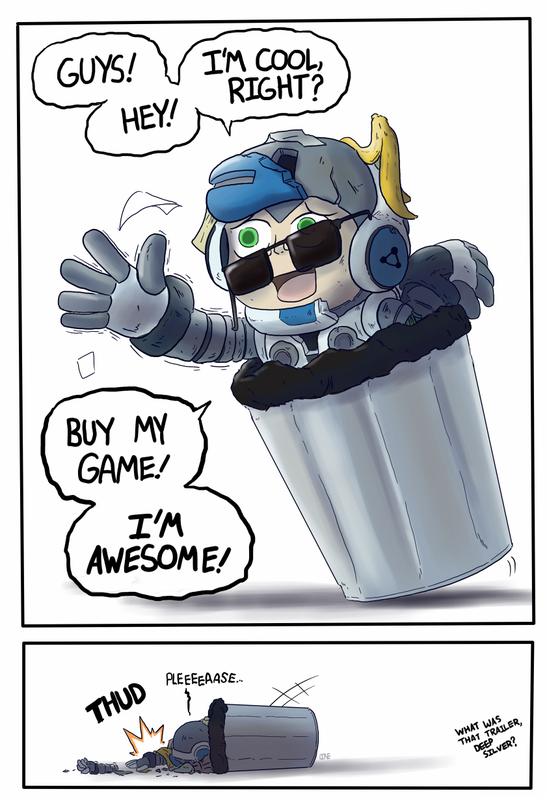 It drained the life out of the Mega Man fandom after the double deathblows of the cancellation of Legends 3, Megaman Universe, and Inafune's retirement from Capcom, a blow to which it still has not completely recovered. Capcom, lurking in the background, would wait another 2 years before announcing a new Mega Man game, perhaps judging rightly that things were so radioactive that only time would heal the wound. I see patterns at work in the world around me, and the patterns are...concerning. For the 25th anniversary of SWAT Kats which occurred earlier this week on September 11th, there was a great deal of hoopla, but again...No new Revolution content was put out to be examined and discussed. A 25th anniversary is meant to be celebrated with a bang, and this one passed with a whimper. I can't help but feel as though I'm one of the South Park kids being monologued to by George R.R. Martin who keeps promising, "The dragons are coming! They're on their way!" In the 3 years that have passed since the Revolution Kickstarter concluded, there have been only minor what-if glimpses into what they perceive as the future of Megakat City; whimsical notions of perhaps learning more about Chance's family and the idea that the vigilantes will take on a "Shadow helper" to keep their aging tech up to date in a digital age. Left to scuffle over scraps, we find ourselves as fans, and as backers, in a rocky place. SWAT Kats Revolution carries the feel of a project kept on Permanent Hiatus, with empty promises and bitter rewards. The project has been cloaked in secrecy for so long that the rest of the world has moved on, and for a show like SWAT Kats, that is a very big problem. Every show and video game and musical artist and author and book series has a fandom. They all have people who write stories, draw art, and create because they are inspired by them. But, make no mistake that we are a niche fandom. We do not carry the same weight as Trekkies who can sponsor entire conventions. We cannot march on a studio and demand that our show be renewed for another season, and we do not have sufficient numbers to force a video game company to rewrite an ending to a trilogy after they create an abysmally disappointing one. For SWAT Kats Revolution to succeed, the Tremblays and those working under them will have to lift that veil of secrecy and drum up that all important resource: publicity. So far, they have not shown a willingness to do so with the larger mass media. Even more disturbing is that they seem in part to be repeating one of the major mistakes of Comcept's disastrous MN9 campaign; that is, starting one project before completing another or having it in the final phase. Last week, there came an announcement that Tremblay studios was pairing with a Russian animation studio for a children's cartoon show, The Kameleons http://riki-group.com/news/riki-group-a ... kameleons/. All the assets distributed to the fans have been readily reproducible items or artifacts from the original show; of Revolution, again, there has come nothing. Perhaps most frustrating to me has been the lack of any movement whatsoever, or even NEWS, of that promised stretch goal; a 2 minute teaser trailer for the new show. Even if the Tremblays and their underlings insist on 'playing it close to the vest' and hiding details, they could still put together that promised 2 minute animation. Believe me, I have seen plenty of teaser trailers that give away very little of the actual plot or episodic events; it is well within their capability to make this happen. That they have not suggests either that they are unwilling to put forth this small bit of good faith effort, or they are unable to, due to a lack of resources. And given what was promised for the money they received, one certainly is allowed to feel concerned. In fact, that is the challenge I would personally give to Tremblay Studios, who has apparently struggled for a very long time to get studio backing for the revival. You don't need another studio to make a teaser trailer (I would hope not). I would think that doing so would solve two of your immediate problems as well. It would show the Kickstarter backers that your promises to them have not gone forgotten. It would show the fandom that our own emotional and mental toil was not given for nothing. But most importantly, making and publishing that 2 minute trailer would give you the one precious resource they are lacking. Publicity. Chatter in social media would skyrocket. IGN and other gamer/geek news outlets would run new stories on the project, and the studios you struggle to deal with would be forced to take a step back and re-evaluate your dedication to the project as well as its viability. SWAT Kats Revolution could very easily become another Kickstarter cautionary tale, thrown onto the heap of funded and failed projects that now lies mountains deep. I sincerely hope that it will not come to pass, but I have seen enough history to acknowledge it is likely. I challenge the Tremblays to Prove. Me. Wrong. Last edited by MoDaD on Thu Sep 13, 2018 5:14 pm, edited 1 time in total. There has been something being planned for the past few months (another low-key event), though as you've probably already suspected, it's run late. It was supposed to be announced this week, but we'll see if that occurs or not. My concern echoes yours, though. I'm not sure that the answers you (and others) seek concerning Revolution will be provided even if/when this occurs. Publicly stated deadlines, dates, and goals have yet to be met. When the next statement from Christian Tremblay occurs, I do encourage people to ask politely, but firmly, in the Kickstarter response comments for the kind of specific details that Erico has outlined. They read everything, and if you'd like to apply some helpful pressure, that's a way to go about it. You have a gift for words Erico, this is clearly what it's needed. Don't take me wrong or be mad at me MoDaD, but sometimes i feel you are the publicity itself all around SK and fans can't be the only source (and less when the fandom is just, small). If i tell you all the truth, I don't care about the merchandise or events. I just want the show to revive again, and that won't happen shipping coins and making live commentaries. It will happen with real NEW information. Anything is valid: a trailer, a concept, an announcement... even a single image. Obviously, the trailer is the best way to beggin with since it has been promised already in the kickstarter. A constant flow of little bits information from there is enough to keep the people talking about the show and spreading it. Of course, nothing will happen if we don't have something exploding in our faces to begin the news. I will just drop one final thing: if the way to celebrate the 25th anniversary is another event with nothing new about revolution, i won't bring any soda and popcorn to share = not a party! Thanks for putting into words what I feel far for eloquently (and less acidly, heh) than I myself could've. I've been slowly losing faith in the Kickstarter campaign for a while now. The way I feel is simple; I want updates and information, and I want the trailer they promised now that they've reached (and surpassed!) the "Thruster" goal. The trailer was supposed to have been made once the Kickstarter hit $100,000; they're currently at precisely $141,500, which means not only should we have already gotten the trailer, but we're close(er) to the $200,000 "After Burner" goal, which would (should) give us an entire episode. I'm not sure what the holdup is (besides the obvious; that they're doing other projects), and I don't think they ought to promise what they aren't sure they can deliver. I've been guilty of this in the past myself, not only with my own personal projects (the seemingly perpetually unfinished story version of The End of the SWAT Kats! comes to mind) but also with story and art commissions for other people. One might say, well, then if I'm guilty of the same thing, I shouldn't thrown stones, but, on the contrary, I feel qualified to criticize them because I know about biting off more than you can chew more than most. And I'm just a fan; they're the creators. People look up to them, not me. I'm not saying they should be perfect and flawless, but nevertheless I don't think they should make the same mistakes I do. I understand your concerns. It sounds like the whole process would have benefited from more transparency, as well as a more clearly-delineated timeline and schedule. The whole thing has this up-in-the-air "we'll get to it when we get to it" feeling. In a way that's apropos. The Swat Kats themselves are in fact "up in the air" much of the time. But that's a different matter. Anyway, patience may be a virtue, but on the other hand three years is a long time to sit in a perpetual state of anticipation. What comes to mind here is the "sunk cost fallacy" - so much time and energy has been invested so far, why quit now? But will there come a point where fans have to accept that the show won't go on and cut their losses? How do you know when that point has arrived? Besides there is a risk that if the project is dragged out too long with too few updates, people will simply lose interest and move on. "You had me, then you lost me." Today there exists so much other entertainment in the form of movies, games, shows, and various other assorted Shiny Things that you would never be able to consume it all within a single lifetime. Just throwing in my 2 cents. I won't go into the whole "whether the Tremblays should show more Revolution material or not and where is the 2 minute trailer they promised", I'd rather ask this: was Kickstarter the right path to take in the first place to revive the franchise? Given that lately we see a lot of revivals/continuation of old cartoons (Samurai Jack, Powerpuff Girls, Ducktales, Danger Mouse to name the ones I know of), one could rightfully say: well if those cartoons can come back, so can the SWAT Kats. Now correct me if I'm wrong, but as far as I know, none of those revivals needed to rely on a Kickstarter to get the interest of studios/investors. These cartoons already had a successful original run back in the day consisting of several seasons and dozens of episodes, proving they are able to be a profitable business venture (if done right of course). SWAT Kats, whether we like it or not and regardless of the reasons, was very short lived and financially not successful. I have a feeling a lot of top dogs in studios give those facts a lot more weight than the fact the show had a good reception and still has a small cult following. There's also the question of: is this a cartoon that today's audience wants? 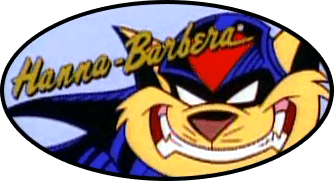 Is a cartoon of two antrophomorpic cats fighting crime in their jet something that can still garner enough interest? Or would it need to be updated so much that it can't really be considered the same cartoon anymore? Tarnish wrote: There's also the question of: is this a cartoon that today's audience wants? Is a cartoon of two anthropomorphic cats fighting crime in their jet something that can still garner enough interest? Or would it need to be updated so much that it can't really be considered the same cartoon anymore? That's the biggest issue I can see. Even DuckTales is thematically a lot different from its original run: less of a focus on adventure and Scrooge, more focus on the nephews and Webby as individual characters and their relationships, a heavier lean on characterization than straightforward plot overall, and dialogue with a marked concentration of "clever banter" that's currently in vogue (*cough*). It's a successful reboot since it caters to what Disney's modern demographic responds to, but if you compare the '80s run to the current one, they're totally different series. On the other hand, there's Samurai Jack, which stayed true to its origins. In fact, it went the opposite way DuckTales' reboot did: it leaned harder into the violence and adult themes, as if it had aged up with its original audience. It was generally well-received, at least until it ended. Even though stylistically and thematically Jack's continuation felt as though it was picking back up from where it had left off, there was just no way to live up to the hopes and expectations of an audience that had waited 13 years for a "real" ending (or at least not in only one season). And then there's the Powerpuff Girls reboot. It attempted the same path as Disney—stylistic and thematic upgrades tailored to the current audience's tastes—but failed spectacularly. Multiple noticeable animation errors, unfunny jokes, poor characterization, and overall low quality led to the Powerpuff reboot feeling more like a shoddy cash grab. And, as Tarnish mentioned, these were all cartoons with proven track records. Reboots are hard, even when success is 90% guaranteed. And then there are series like Voltron, which depend almost entirely on luck. Most of the current Voltron run's fans weren't even born yet when the first run was airing, yet it's a huge success. Thundercats tried the same thing only 5 years earlier, but it bombed spectacularly. What was the difference between the two? Timing and luck, it looks like. Reboots, man... who knows? At the end of the day, I think a lot of SWAT Kats' appeal was just how '90s XTR33M and unexpected it was—if you tried to pitch it today, it'd have to be as an ironic pastiche. You couldn't play it straight like it originally was, or you'd be laughed out of the pitch meeting. If you angled for the focus on unique gadgets and vehicles, you'd have to tone the violence way down to sell to a younger audience; the assumption would be that you're trying to sell toys, and almost no cartoons aimed at audiences older than 11 are merchandise-driven anymore. Same with the anthro angle—you rarely see series with non-human casts anymore that aren't either for young children or stoners. And if you try to write for a modern preteen-to-young adult audience, I don't think modern kids are willing to suspend disbelief for long enough to enjoy the same setting we did.